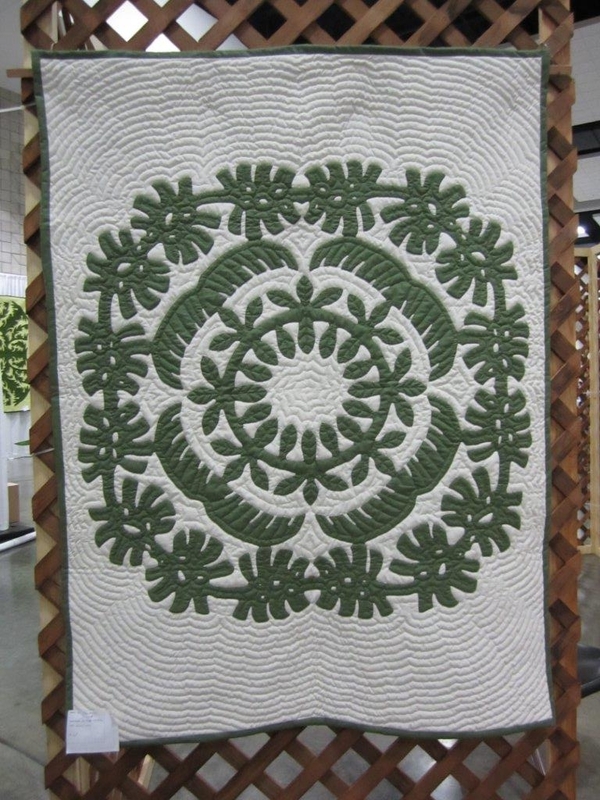 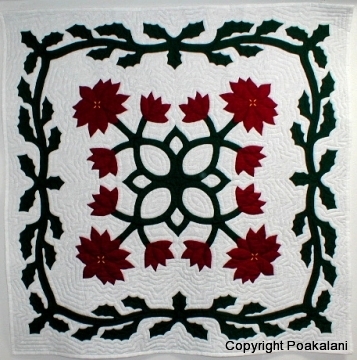 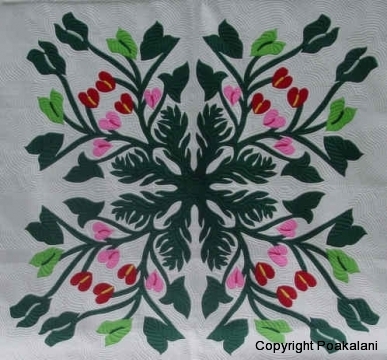 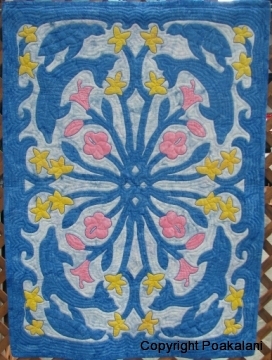 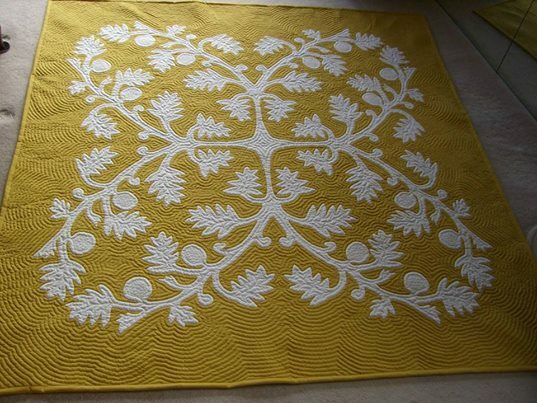 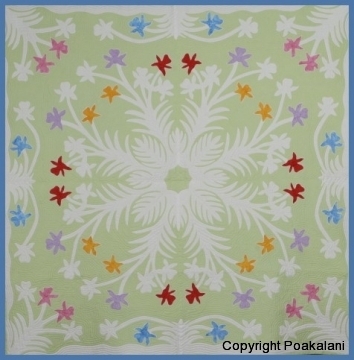 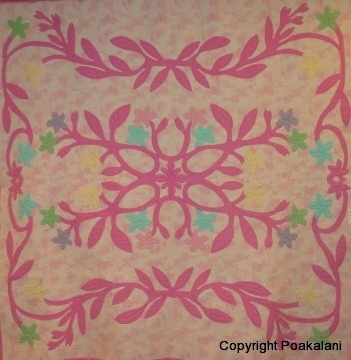 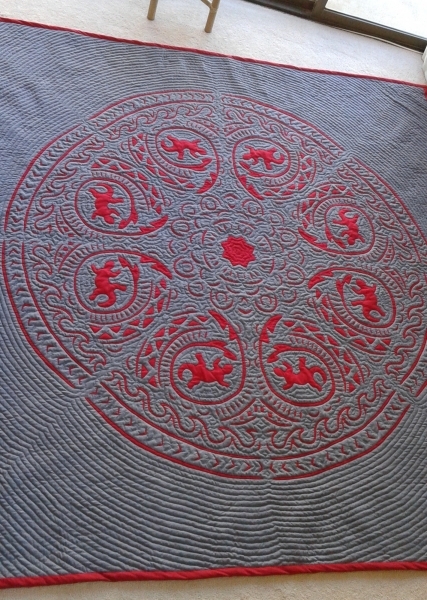 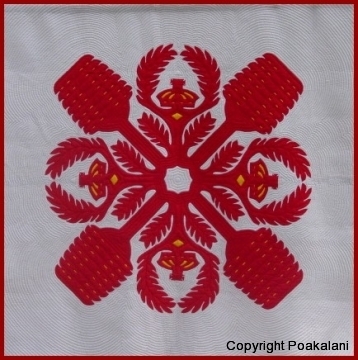 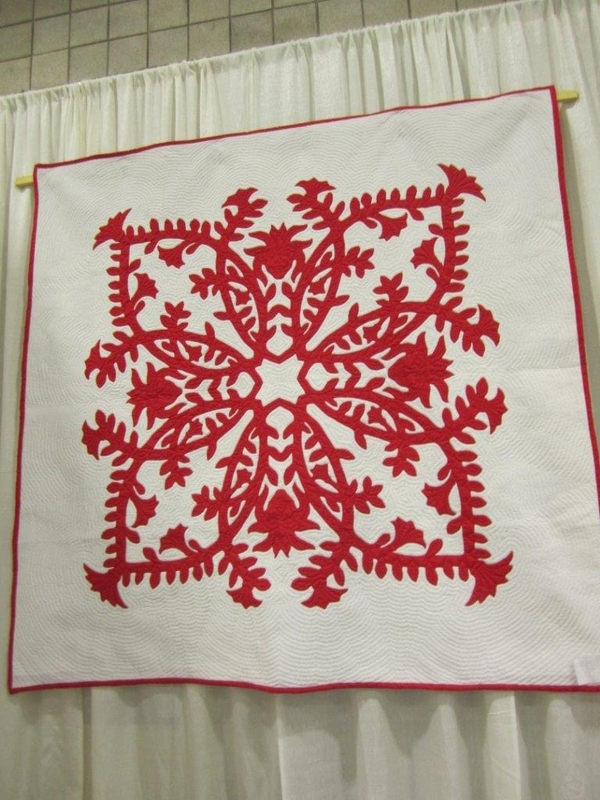 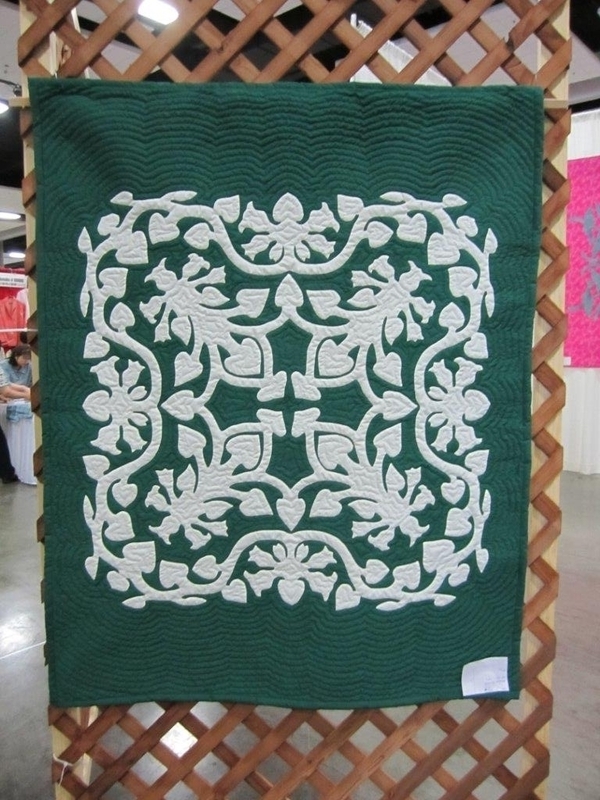 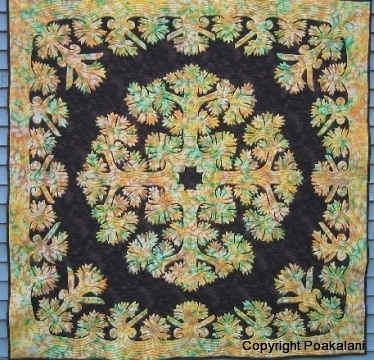 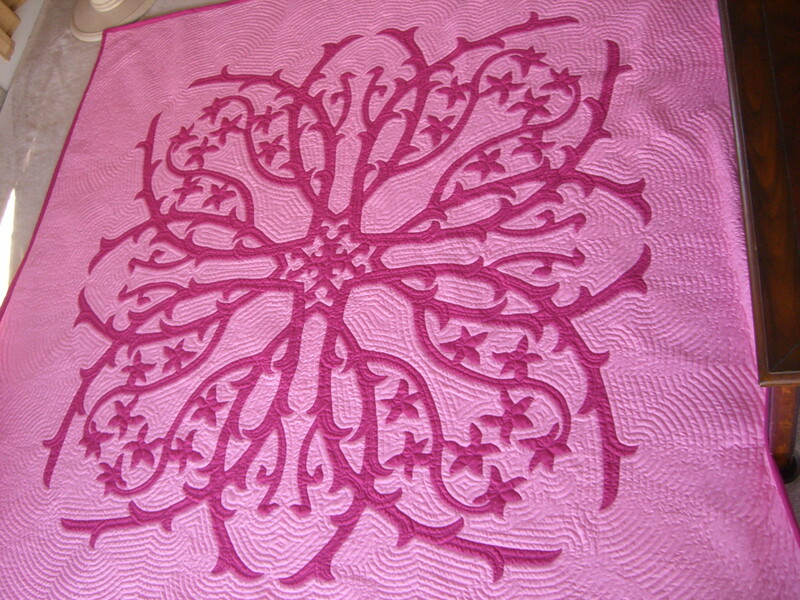 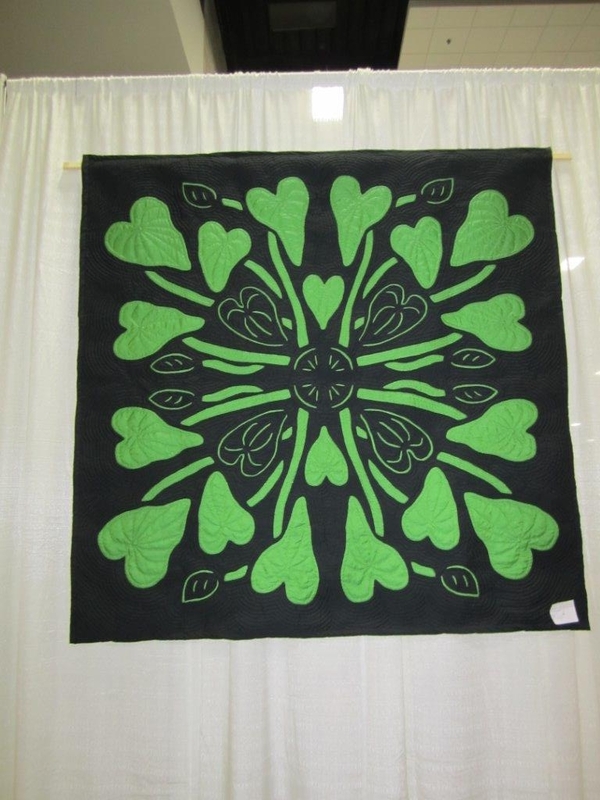 Mutli-Colored Quilts - Hawaiian Quilting With Poakalani & Co. 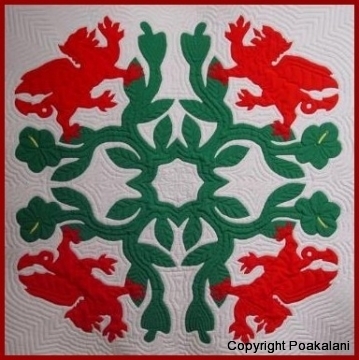 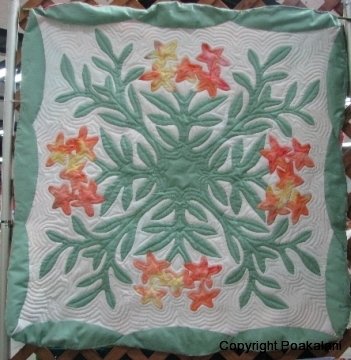 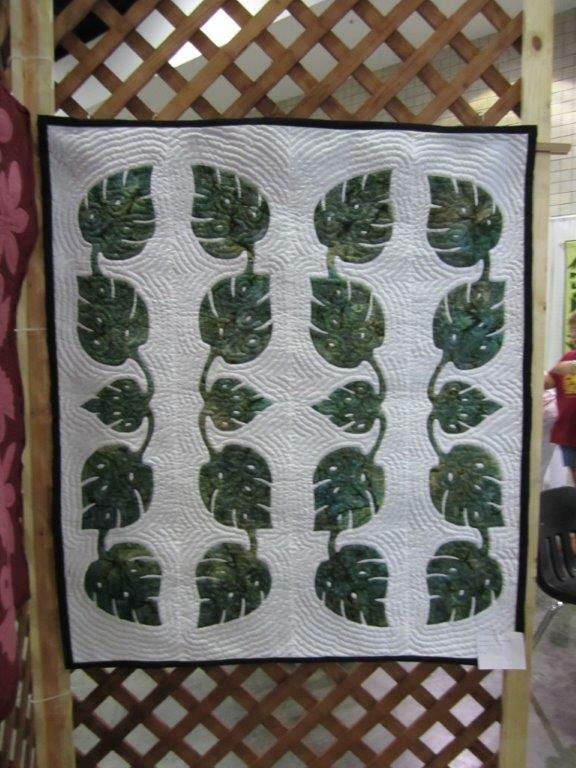 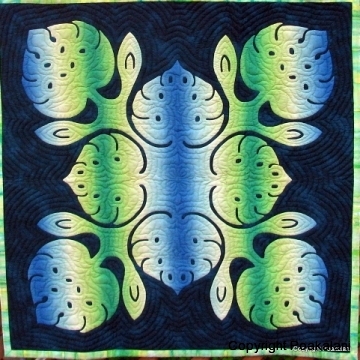 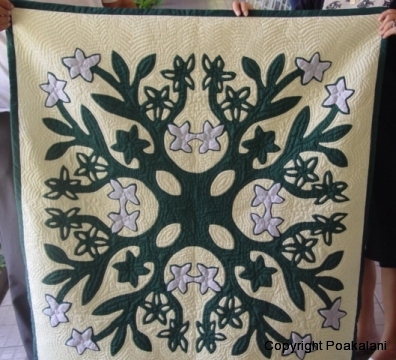 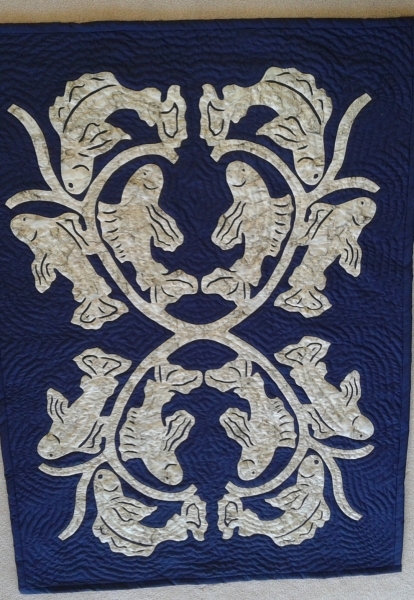 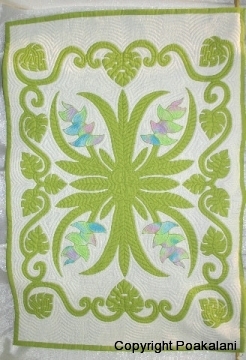 Many people believe that it is bad luck to make a Hawaiian quilt that is multi-colored not the fabric but the design itself. 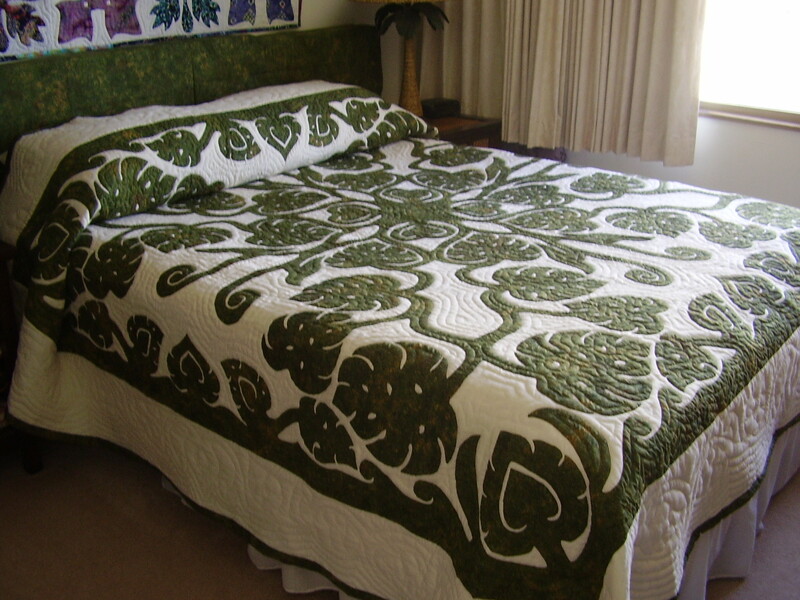 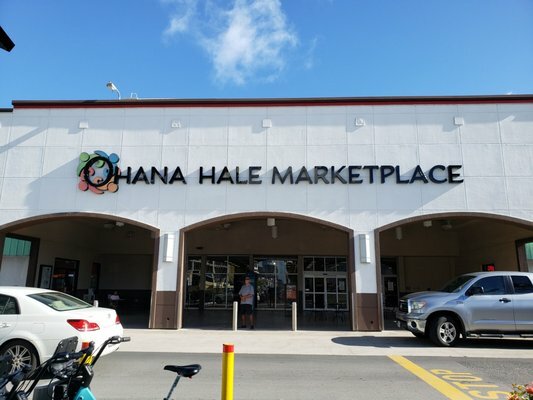 We were always told that the design itself needed to be cut in one piece and always a single color but I love the look of multi-colored Hawaiian quilts. 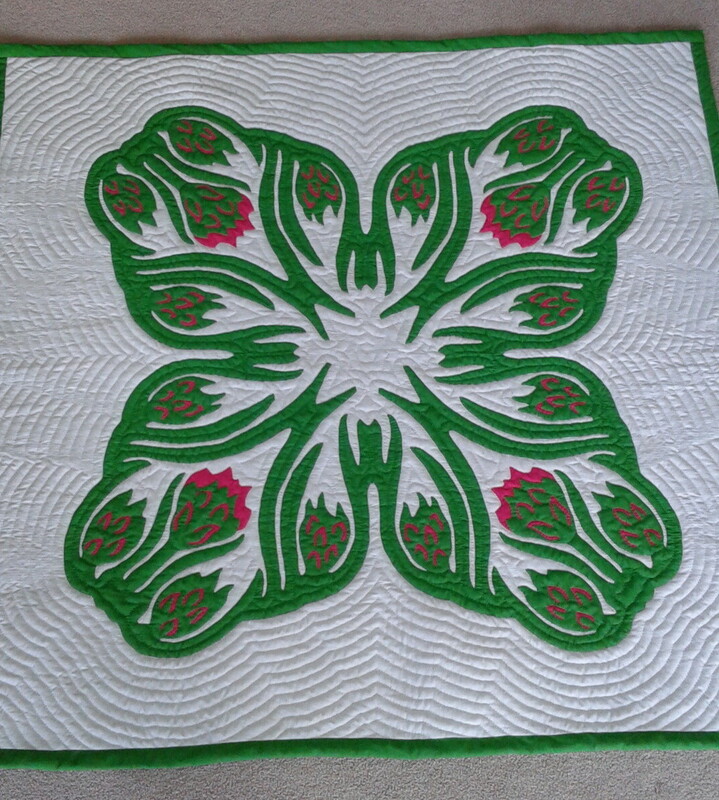 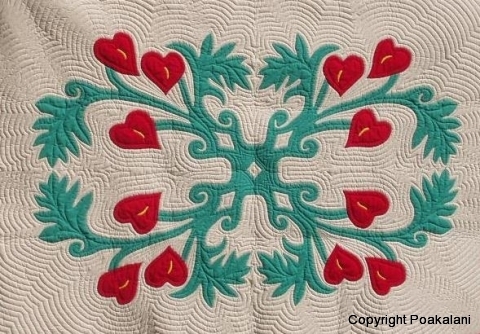 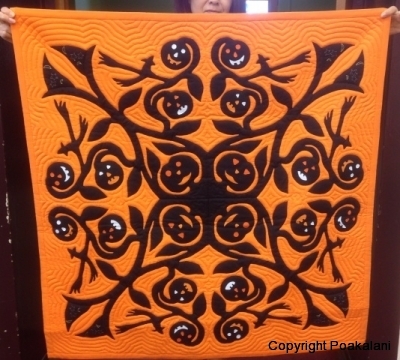 The different colors tends to give the quilts more dimension and depth and we firmly believe that when a quilter spends months making a quilt with love and when the quilt is given with love it can only bring great blessings to the quilter as well as the recipient of the quilt. 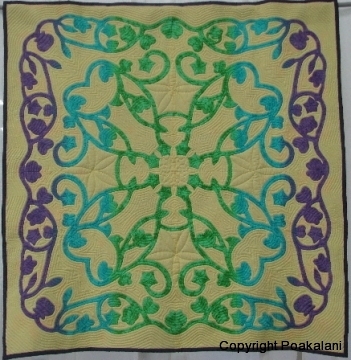 Enjoy a few of our quilters multi-colored quilts.